The 8th of March. A day dedicated to women across the globe. It is a day to recognise female achievement, strength and determination, but it is also a day to raise awareness of the huge issues that still plague society nowadays. So, why the 8th of March? How did we get here? The earliest recorded ‘Women’s Day’ was held on the 28th of February, 1909 in New York. This event was organised by the Socialist Party of America. It is reported that this day was organised in recognition of the 1908 garment workers’ strike, whereby women had refused to work, due to their lack of rights. In the year of 1911, International Women’s Day was recognised throughout Austria, Denmark, Germany and Switzerland. Over one million men and women attended marches. They demanded that women should have the right to vote, the right to work, the right to vocational training and they demanded that discrimination in the workplace had to stop. In the year 1917, women in Russia chose to campaign for ‘Bread and Peace’. This protest took place on the 8th of March, according to the Gregorian Calendar. Four days later, women were granted the right to vote. It was then that the 8th of March became a celebrated date throughout Communist and Socialist countries. 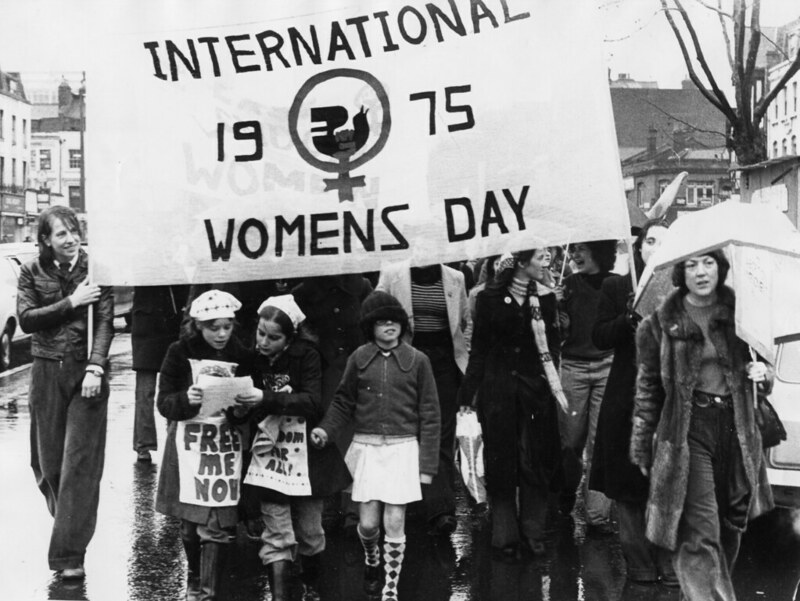 Then, in 1975, the United Nations decided to recognise the 8th of March as a day dedicated to women throughout the world. Women have come a long, long way. 100 years ago, women were, thanks to the efforts of the Suffragists and Suffragettes, eventually given the vote in the UK. It’s difficult to believe that, until one hundred years ago, women had no say in who ran their country. You may think that’s shocking, but it was not until 2015 that women were given the right to vote in Saudi Arabia, and it was only last year that they were given permission to drive. It’s appalling that this was the case, but it’s important to note the progress that has been made. Without feminists, equalists and determined activists, these women would not have been given these rights for a very long time. But, there are still issues. I read today that, in the United Kingdom, most women have pretty much worked for free so far this year. The average 18.4% wage gap means that women across the country work for approximately two months before they are paid the same as their male counterparts. Again, progress has, however, been made. Since 2011, the wage gap has decreased by about 0.2 % each year; this is better than no change at all, however it does mean that it will take around forty years for the difference to become non-existent. This is pretty disgraceful. 0.2% is not enough. Recently, the world has witnessed the ‘Time’s Up’ and ‘#MeToo’ movements unfold. The fact these campaigns have had to take place is horrendous, disgusting and shocking. But, women are getting a voice, they are being heard and their stories are getting told. Nothing like this should ever happen again. Not to women. Not to men. Not to anybody at all. These women are so incredibly brave, and, hopefully, will help other victims to feel that their stories are valid. None of these women should ever have had their stories discounted or ignored; the fault was never that of the victim, and they deserve to hear this. Time is up, and change is coming. Okay, so, many men seem to think they are being discriminated against, due to the lack of an ‘International Men’s Day’. *rolls eyes and sighs dramatically* However, if you had used the (oh-so-unheard-of) search engine that is Google, you would find that there is in fact a day designated to men. November the 19th. So, to all the men that decided they would tweet petulant messages, complaining that today was not their day, please do your research before trying to take away from the importance of today. They’ve overcome mountains of discrimination, and have fought for what is right. Men do face issues, masses of them. I will cover these problems at some point; whether it be on the 19th of November, or before that. However, fine sirs, today we are acknowledging women. Today is about recognising the efforts of the women before us, and appreciating the fact society is so much fairer than it could have been, had they not worked so hard for us. Today is about recognising the issues that still face women in society, and praising the women that are working so hard to rid us of them. Today is about appreciating women’s existence. Previous Previous post: Women, our prayers have been answered.